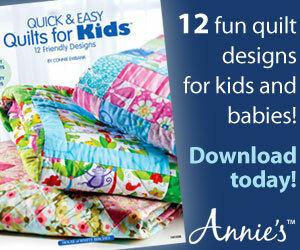 Welcome everyone to the Quick as a Fox Quilt Along! If you are just finding this for the first time, you can find all the previous blocks here and the photo gallery here. Today we are going to be working on a dresden plate quilt block. Last week we learned a little bit about templates….and even made our own hexagon template! YAY for you!! Today, the template will be made for you, but we will be stepping into a little more difficult use with it. No raw edge applique here, we will be sewing them to each other. gasp! You can do it though. It’s a little intimidating at first…and then off you’ll got and before you know it your dresden plate quilt block will be all done and you will be all inspired maybe to sew up a few more. Place the dresden wedges onto background square. Now, before you all wig out— I will let you know that this will not fit perfectly!! The wedge works best when going from one side to the other….so please be aware that the end wedges will be cut off. This is ok, because there are some fun and funky or ‘cranky’ quilt blocks coming up in the quilt and will help this little issue blend in. Because they are kind of floating at this point you will want to pin them down. Sew ‘in the ditch’ in between each wedge. You can choose for yourself if you want to sew those tips down. They do kind of blend into the quilt being 3-d like a previous block. They are almost like a little pocket tube! You can sew the whole tip down, or take a few stitches right at the point…..or leave them alone. You decide. Cut the quarter circle out and place on top of the corner of the quilt square. You are finished with the dresden plate quilt block.